Back on October 24th, Terrell Owens held a workout for all 32 NFL teams in which not one of the 32 teams sent so much as an intern. T.O. is recovering from ACL surgery and still wasn’t healthy enough to run a 40-yard dash. Perfect time to hold an audience-less audition. Here’s the problem, on that day he also had a child support hearing in California and the judge apparently didn’t care for the fact that Owens didn’t show up. So, he issued a bench warrant for T.O.’s arrest. Owens’ defense with regards to child support makes sense. These payment are based on when he made $11+ million a year. He isn’t making anything right now. However, that doesn’t excuse him not even showing up to make his case. FOUR kids?! What the hell is wrong with some of these athletes? You aren’t married and your income (as you’ve surely notice, T.O.) has a shelf life. When you get too old, you can’t make big money playing the sport you love. Being reckless with women is a sure way to drain your life’s savings. As for not making what you used to, okay, that’s fine that he has “no income” right now. That’s a good argument. But, that doesn’t excuse you not showing up! 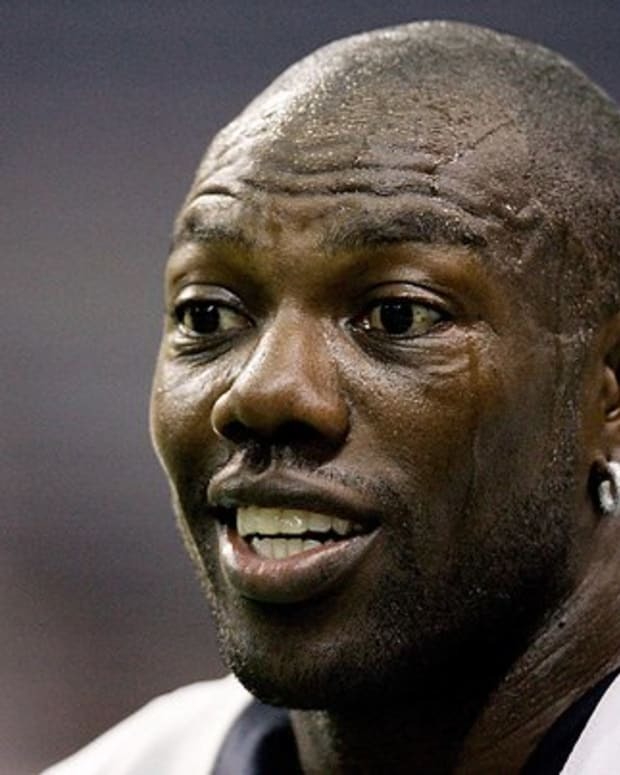 Terrell Owens to Chicago Bears? Terrell Owens Planning to Sue the Allen Wranglers?